Readers’ Rants: Save Balboa Park … Before It’s Too Late! Artist’s rendering of billionaire Irwin Jacobs’ bypass bridge, an elemental part of his make-over for Balboa Park. Many years ago, my mother, Mae Louise Ford Town, was a frequent contributor to Letters to the Editor. Harold Keane, newscaster, had called her “that woman on Pt. Loma”. Mae Louise Town tried to impress the sanity of keeping San Diego true to zoning, historical importance, and natural beauty of San Diego. This was despite the ill advised people trying to ruin our city, propelled by greed and disrespect, our City Council! I feel compelled, as a second generation San Diegan, to take over the gauntlet my Mother carried. In protesting what the City Council is supporting, in ruining Plaza de Panama, I say enough is enough! SOHO needs everyone’s support! REACT! Before it’s too late. We are not like L.A. We will be if greedy, unconscionable, thoughtless people ‘in charge ‘ are left alone. I am a native San Diegan. I have enjoyed the pleasure of growing up in a spectacular city. I am so proud not only of the downtown we now have, but the ballpark, our new cleaned up riverwalk, the gaslamp revival, and so many wonderful historical features our city offers its citizens and visitors. Our crowning jewel is Balboa Park. What vision our forefathers had. (and foremothers, of course…we have some remarkable ladies in our history!) I marvel at the buildings, have photographed them many times, taken visitors to see the park. It is larger than New York’s central park, I hear, and yet it feels intimate and welcoming. Then I took a look at the rendering of the proposed “centennial bridge” and I was stunned…horrified. It reminded me of some mutant with an unnatural arm. What could the architect who proposed this monstrosity possibly be thinking? Is this anyone who values posterity, history, culture? How could you put an appendage onto the Cabrillo Bridge? Are these people San Diegans? Then I listened and watched as the Commissioner of the Plaza de Panama seemed to fall all over himself in praise and awe of Dr. Jacobs and his money, while at the same time expressing his own reservations and distaste for the centennial bridge. It was disgusting. 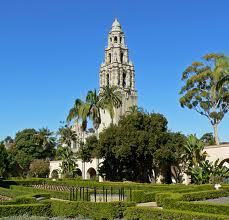 Those with the money should NOT have all the say in what we do with our precious Balboa Park!!! I attended an event at our Museum of Art just last week and thought, how wonderful that our current planners are proposing removal of cars in the Plaza. A great idea! It will be beautiful. Yet, the traffic plan is flawed. What would be so much more pleasing is either an underground parking below the Plaza, or parking in close sites with shuttle access and connected roads . Certainly Dr. Jacobs does not want his name forever vilified by San Diegans. Certainly he does not want to be associated with an “Onion” Award. Certainly he is a reasonable man and willing to compromise on this. Yet I have heard that there is one plan and one plan to be proposed to the City Council. Why not a working compromise? Mr. Lewis’s plans seem very reasonable and well thought out. I suggest we take a little time to rethink this before setting a flawed plan in stone. What would be the difficulty in pushing this decision off for a month or two to come up with a better idea? Just to share this new video too ,thanks to a professional film maker, Jake, who lives close to Balboa Park, and understands all to well the threat to this jewel of our city. He couldn’t stand by and watch this fiasco of a plan happening without stepping in and helping out with this film that nails it on the head about this project, with a focus on the paid parking and garage. Newer Article: Today – June 20th – Is International Surfing Day !